At least 12 people have been killed after storms lashed Sicily, causing torrential floods. 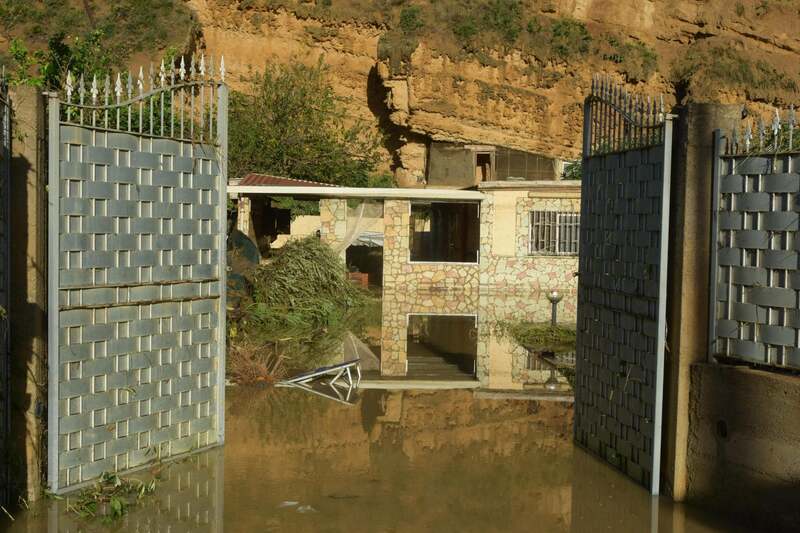 Divers pulled out nine bodies from a home flooded by a rapidly swelling river in the countryside near Palermo. The sole survivor of the flood that ravaged the home with water and mud was the owner, who had just stepped outside to walk the family dogs Saturday when the torrent struck. He used his mobile phone to call for help but it was too late for the others, who included a one-year-old baby, a three-year-old child and a teenager. The victims were from two families who had gathered in the country villa for the weekend. A man's body was also found on a guardrail along a Palermo road after floodwaters swept away his car, according to reports. 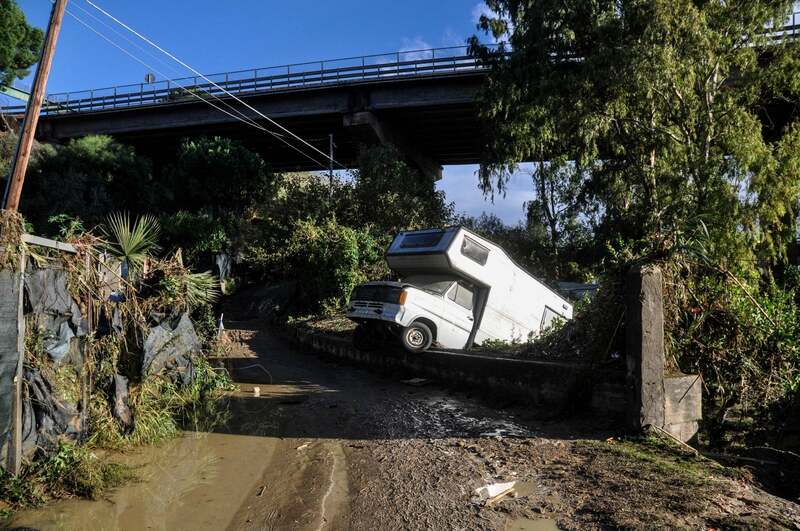 Across the island, in the town of Cammarata, near Agrigento, the fire department said divers are working to recover the bodies of two people swept away while driving on a road near the flooded Saraceno River. Agrigento, famed for the ruins of ancient temples, is a popular tourist destination. Elsewhere in Sicily, at least two other people are missing after floodwaters swept away their cars, including a doctor heading to the hospital in the hill town of Corleone. Other storms had battered northern Italy earlier in the week, killing at least 15 people, uprooting millions of trees near Alpine valleys and leaving several Italian villages without electricity or road access for days. 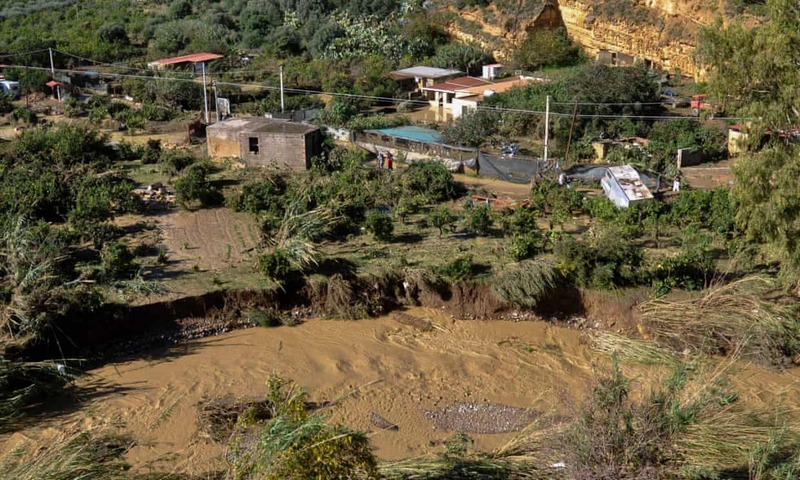 In Casteldaccia, the hamlet where the river flooded the home in Sicily, neighbour Maria Concetta Alfano said she, her husband and their adult disabled daughter fled after barking dogs drew their attention to the rising waters in the Milicia River, the Italian news agency ANSA said. The husband, Andrea Cardenale, said he drove away as "water was up to the hood of the car". 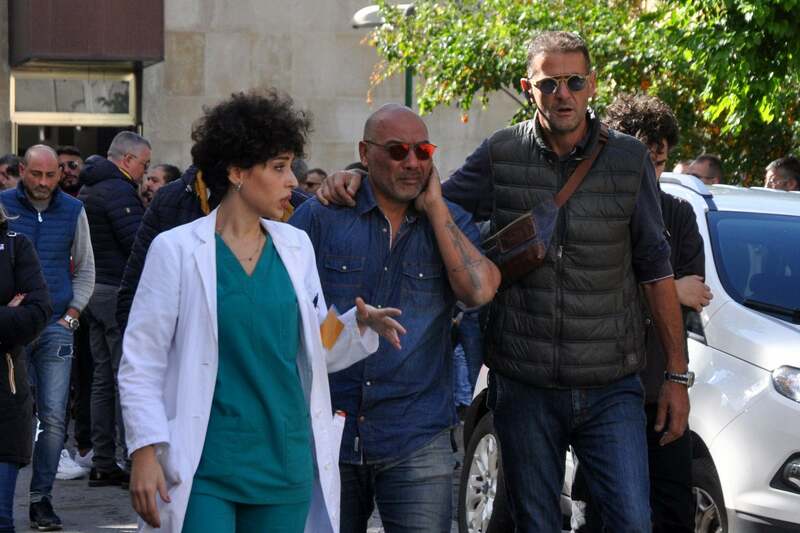 A Sicilian prosecutor has opened an investigation to determine if any human error, such as possible inadequate drainage of the river, might have played a role in the deaths.